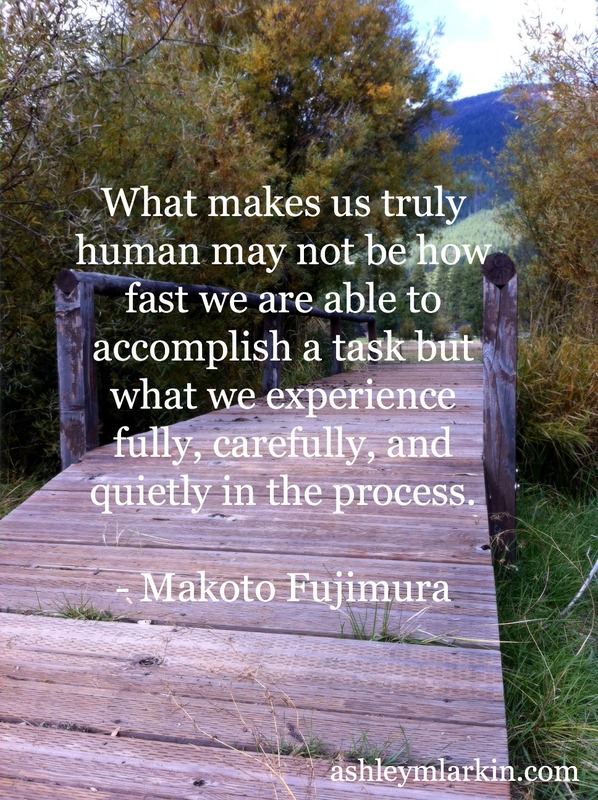 What makes us truly human may not be how fast we are able to accomplish a task but what we experience fully, carefully, and quietly in the process. 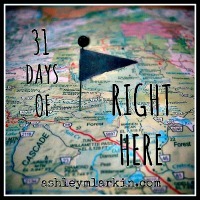 This is Day 15 of Right Here (almost the midway point — yeah!). Throughout October, I’m joining with a community of bloggers (over 1,500 strong with The Nester). Each person writing is attempting to post every day of the month about the same topic. This is a good kinda stretch. To find all posts in my 31 Days of Right Here, click here, or see the listing below. This is so true! And that moment we realize how totally dependent we are on our Pappa we truly know what being human is all about. Such good words. Thank you.